4-time World Champion John Godina is running a clinic at Homestead High School in Mequon, Wisconsin this SUNDAY July 31st. 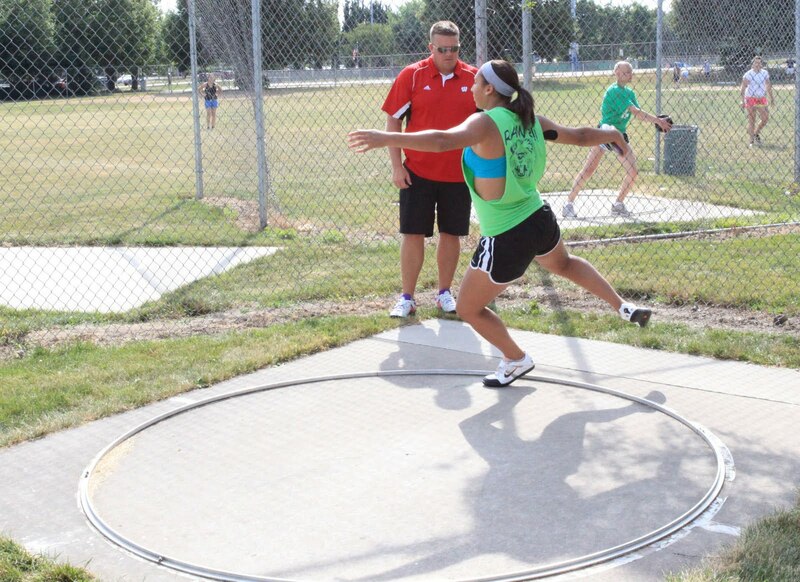 Take advantage of this great opportunity to work with one of the best of the best throwers. SIGN UP NOW and get one last incredible training session in this summer that will give you all sorts of drills you can do all winter long on your own to prepare for next season. If 5 or more MTC members sign up they will receive an additional $10 off after registration. 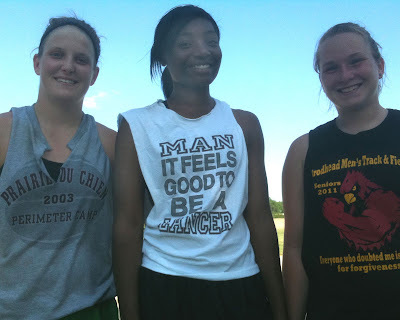 A special MTC thank you to guest coaches Dave Astrauskas - UW Madison, Becca Schmitz - Madison LaFollette. As well as returning MTC college throwers Nick Grosso - UW Whitewater, Angela Boushea - Wisconsin and Justin Barber - University of Minnesota. Also many thanks to Coach Brian Storms - Monona Grove and Coach John Verhelst for their tireless contributions to helping throwers throw FAR! 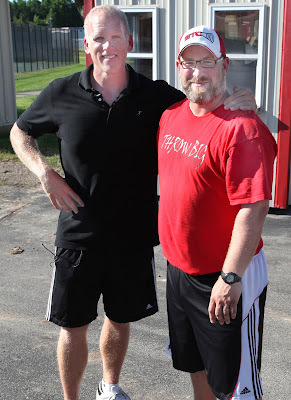 Madison Throws Club was honored by several special guests this past week. A special thank you goes out to Coach Peter Miller - UW River Falls, 2 time NCAA Discus Champion Dan Hytinen, and USA Javelin Thrower Alicia Deshasier. Thank You for sharing your expertise with our throwers! Madison Throws Club had a special visit from USA Javelin Thrower Alicia Deshasier. Alicia has placed 3rd at the past 2 U.S. National Track and Field Championships and is training to make the 2012 U.S. Olympic Team. MTC's Kailee Kamps learned from one of the best in the world. Thanks Alicia! and Good Luck! Come back and visit again soon. I had an amazing opportunity to attend the John Godina Coaches Clinic Saturday, July 2. Learning from a 4-time World Champion is humbling and awesome at the same time. 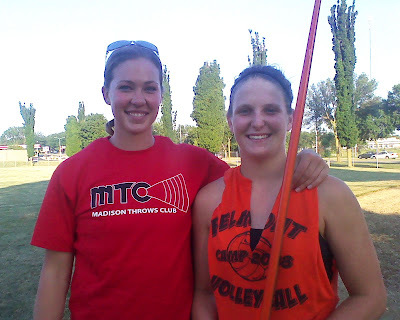 I got lots of new things that I want to share with Madison Throws Club. 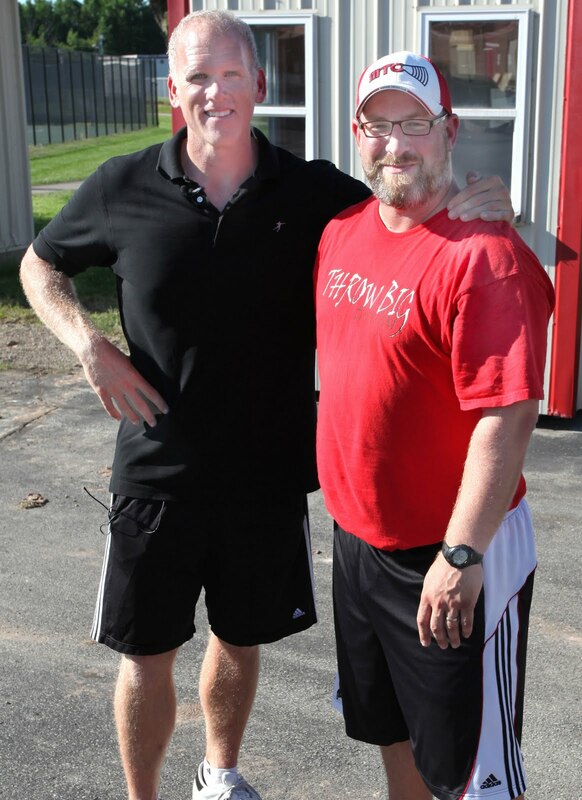 Athletes interested in working with John have the opportunity as he returns to Wisconsin for the July 31 Athletes Clinic. GO to www.worldthrowscenter.com and register online. '12 2011 D2 Discus Champion. Keep pushing each other girls! and Throw Far!